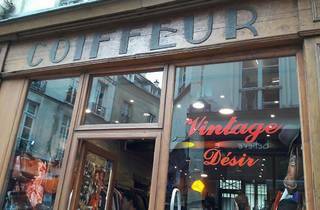 This slightly chaotic second-hand clothes shop is a staple of the Marais’s popular vintage circuit. 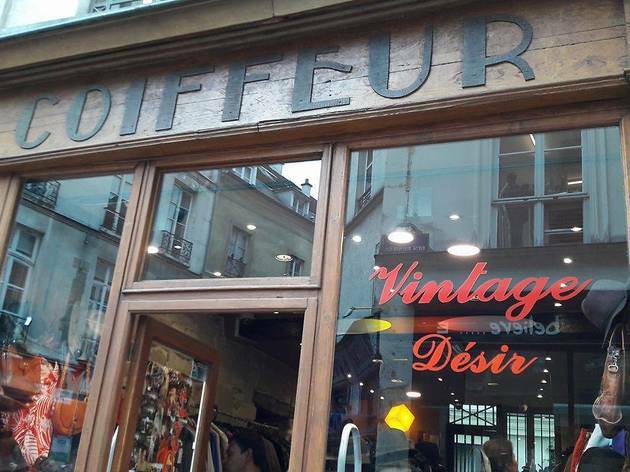 The sign outside may be misleading (it reads ‘coiffeur’, ‘hairdresser’, and looms proudly over the door), but this cute boutique in the Marais is actually one of the area’s most renowned vintage clothing stores. 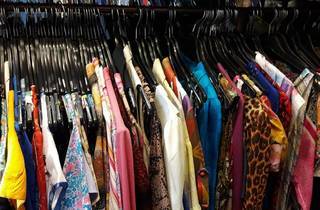 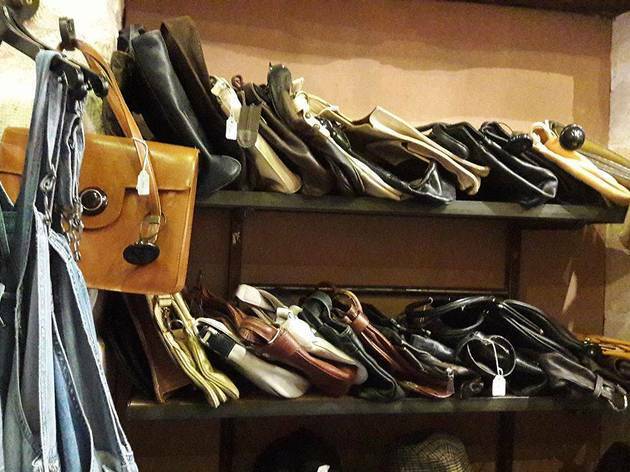 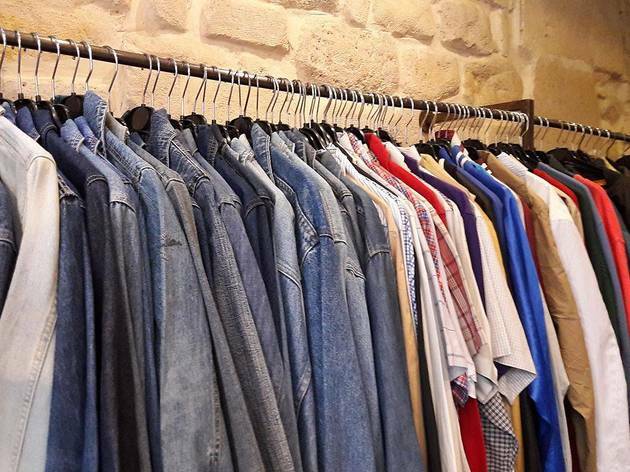 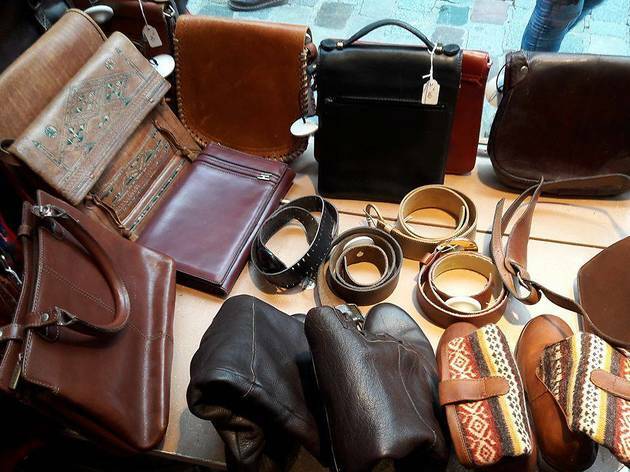 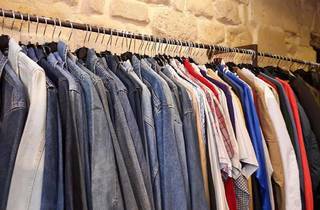 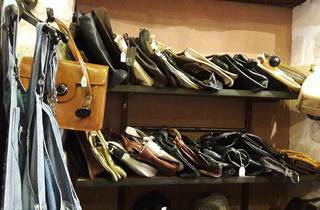 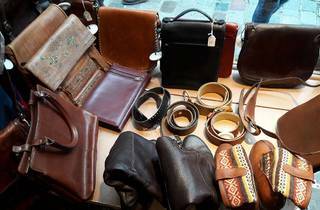 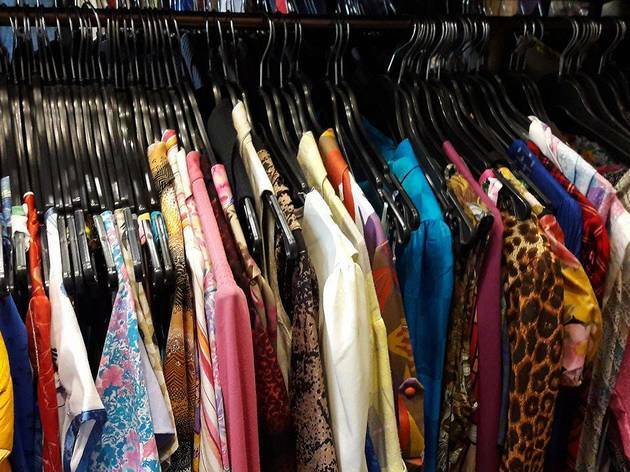 A dusty smell seemingly trails customers around the ever-so-slightly chaotic shop, which is a real Aladdin’s cave of treasures, overflowing with dresses, skirts, checked shirts, denim jackets, coats, trousers and leather jackets, as well as an eclectic range of accessories. 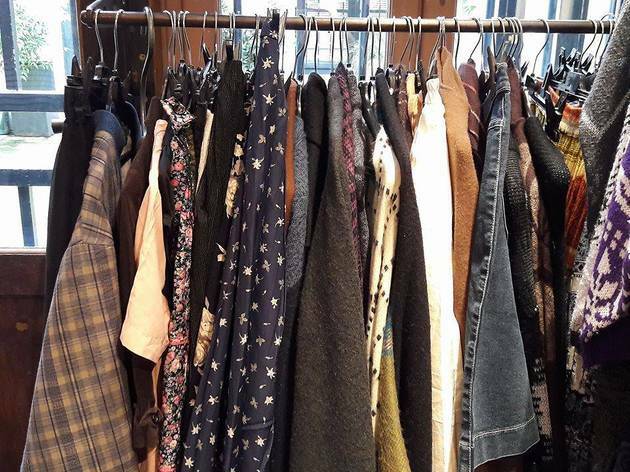 There’s plenty of choice here, and most of the stock is remarkably cheap (think €5 for a hat or skirt, €10 for a dress, €15 for a shirt, €20/€25 for a leather jacket). 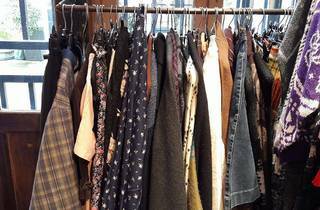 New items come in every day, meaning there’s always something exciting to discover and you’ll rarely go home empty-handed.